Knowing a stranger has entered your property, whether you were present or not, can be a frightening situation and a traumatic experience. It can also be very stressful and upsetting, especially when your valuables and belongings have been damaged or stolen. Choosing to get an alarm system installed can be a very wise choice, as it can alert you and neighbours of any burglars or trespassers. 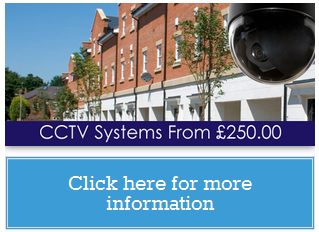 At VisionOn CCTV, we have a wide range of alarm systems available and can install in various properties and environments. 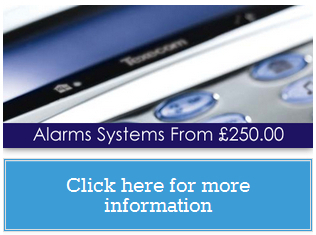 If you have your own alarm system, we can also install this for you. 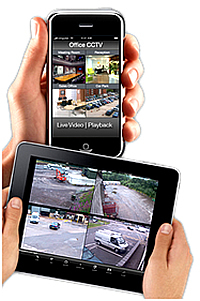 A fully trained VisionOn CCTV representative can visit your premises, undertake a full security inspection, and advise on the most appropriate security solution. Keeping one step ahead of the burglars is the key to being successful in securing your loved ones, your property and belongings. Our friendly and dedicated staff utilise the latest technology, and, combined with over 20 years’ experience, we can provide you with the perfect security solution. In the event of a break-in, a monitored burglar alarm system immediately alerts an Alarm Receiving Centre, which will then summon help from the emergency services, saving valuable time and ensuring you get the speediest response. Unfortunately, like most electrical items, things can go wrong from time to time. 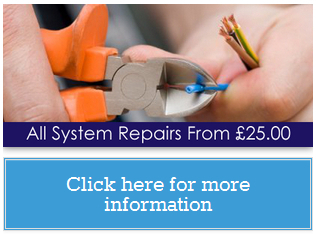 VisionOn CCTV have all the tools, techniques and experience to install, maintain, repair and replace all makes and models of alarm systems. We can provide regular system maintenance and servicing, that deliver peace of mind and ensure compliance with insurance regulations.